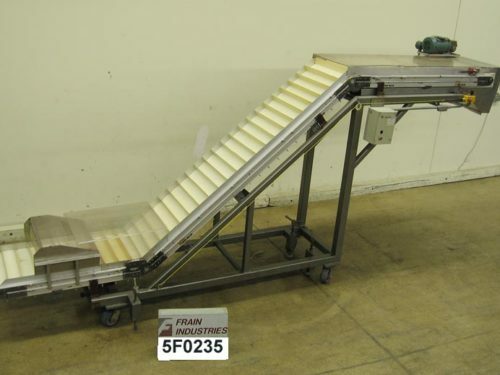 Dynamic Conveyor, Model Dyna Clean CLN3239, inclined cleated conveyor. 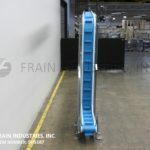 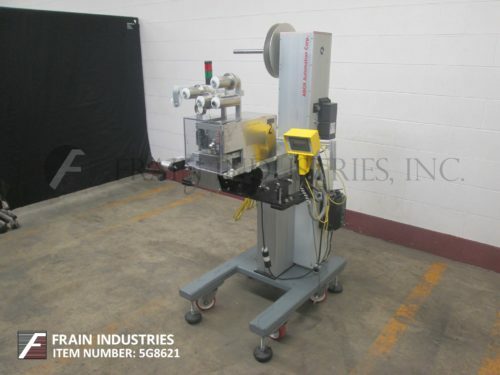 Equipped with a 17" infeed, 12" wide blue conveyor belt with 2½" high cleats set on 10" centers. 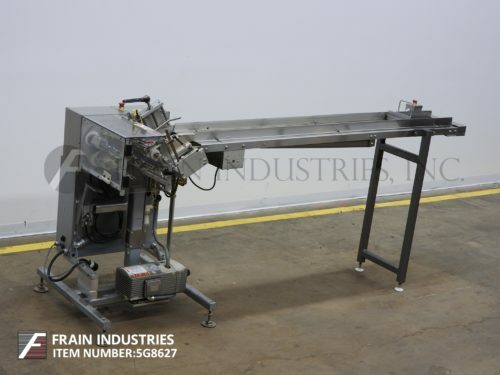 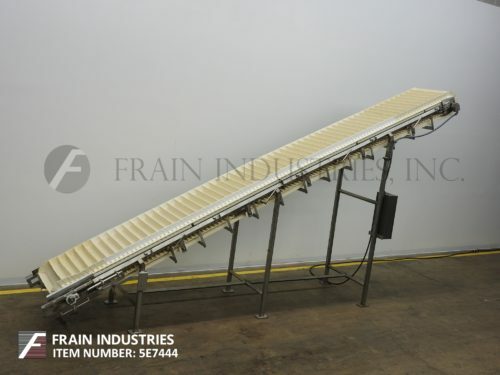 Conveyor has a 36" long bottom horizontal run, 96" long incline, 140" long top horizontal run and a 125" discharge.